Those are my best services so far. 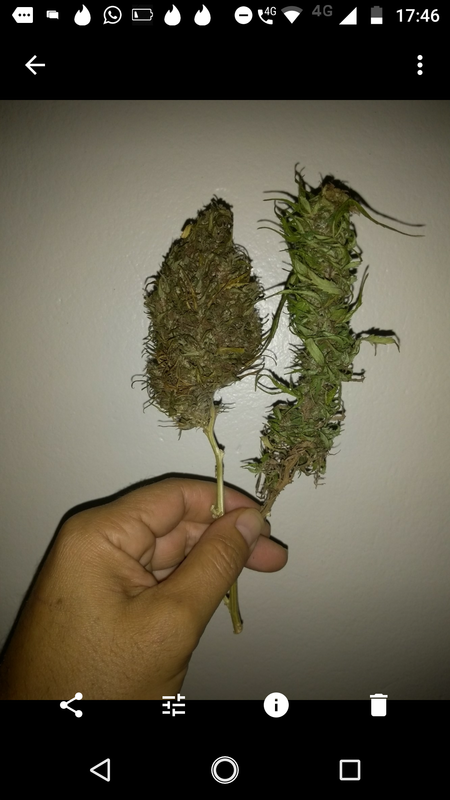 The one on the left was the top bud of the biggest clone of the group, when the one on the right was this clone I couldn't afford keeping and just let it grow on the ground without too much concern. I think you forgot the pics no they just showed up after I hit like lol. Are they from the same plant? I have some Tutenkhamun or Tut, both from the same plant, one has normal leaves and one looks like it lost a fight with Weed Wacker lol. A different bit of stress can make them activate different characteristics. Good size buds, what's the plant? The one on the right looks like a nice bit of outdoor to me. It'd be my preferred smoke based on looks between the pair.